I used to be pretty good at the enforced jollity of the holidays. Not sure I convince anybody these days. 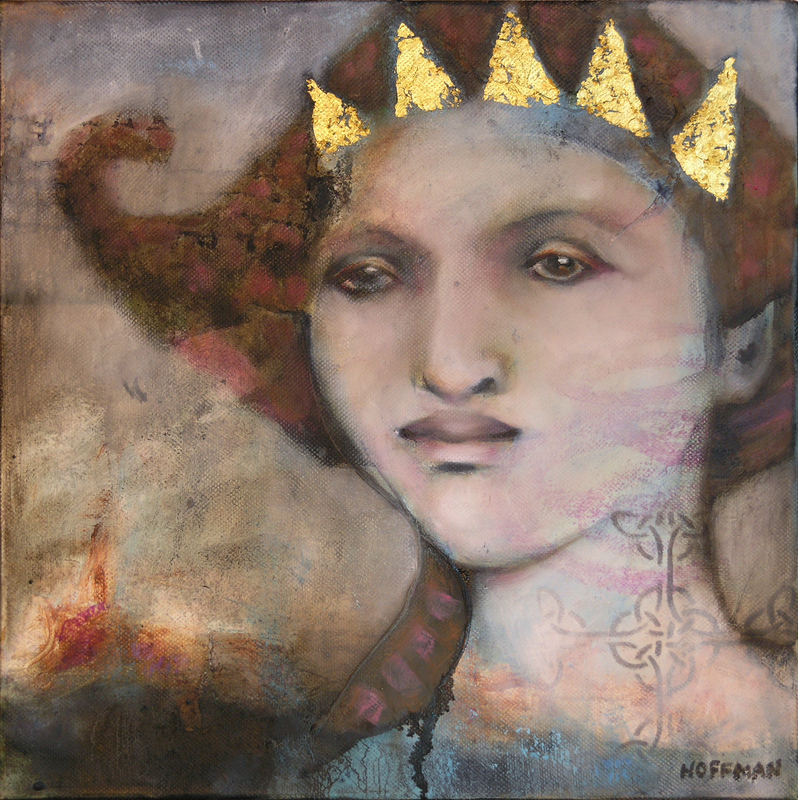 12″ x 12″, oil & gold leaf on canvas. I so hate this time of year. I think the winter holidays are all that keeps someone like me wanting to go on day after day in the cold darkness. I find myself with the impulse to return to church lately. It’s an insane urge that will probably be resisted, for very good reasons. But I do miss the music. 94 year-old Clara has sugar cookies for breakfast , but only on Sundays. She shows us how to make them. My grandma’s name was Clara, and she used to make donuts and dunk them in her coffee much like this Clara does here with her cookies. Finally, it’s cool enough to bake again. I made banana bread today and I may try Clara’s sugar cookies. All of her Youtube videos are charming, and I’m quite taken with her. Stenciled and stamped, paint and ink on paper.